We were welcomed by our President, David Faulkner, who started by explaining the absence of our Chairman, Chris Pickett. For those of you who don’t know, Chris suffered a mild heart attack during the week but, thanks to the swift administrations of QA hospital, is already home and well on the mend. David went on to thank all the Sponsors and Patrons for their generous financial support and explained his ambitions for the future of the club. 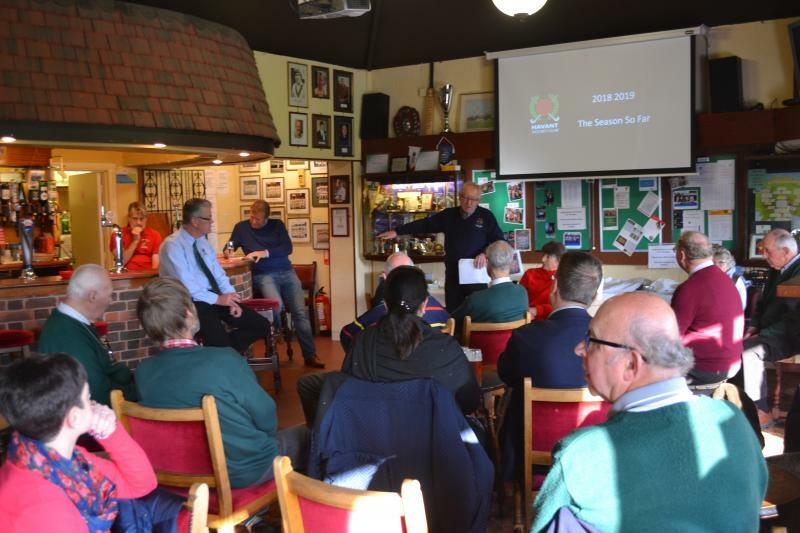 Barry Bradley then gave us the latest exciting information about the club relocation and expansion plans before entertaining us with a video round-up of the Men’s 1st XI season so far. David Bartlett and his trusty team served up an excellent hot and cold buffet. Many thanks to all who helped to make this event a success.